Without the application of barcodes, sales at stores would have been a very tedious process. The bar codes help a lot in effectively keeping an eye over the sold out items in a store. The brain behind the invention of barcodes should certainly be a â€˜businessâ€™ mind. Well let us have a peep into the history of invention of barcodes. To start with, it is important to know what a barcode is. Barcodes represent the object to which it is attached. These are machine readable. The thickness or the width of the parallel lines and the distance between them makes the unique pattern of each barcode possible. Special devices called optical scanners are employed in scanning the barcodes. We have already discussed about the Working of UPC Barcodes in our earlier post. Please go through it to get a better idea. Only when there is an urgent need for something, the world witnesses an invention. People tend to find solution when there is a trace of a problem. In case of the invention of barcodes, there was such a need as well.Â It all started with a small problem that a food vendor faced. A food vendor found it difficult to keep trace on the items he sold and the rate of those food items that he kept for sale. He thought about finding a solution for his problem. 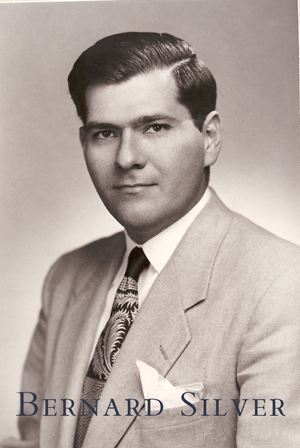 He then requested the help of the Drexel Institute of Technology in 1948. Among all those who were working in that institution, Bernard Silver came forward to join hands with that food vendor in finding an effective and long standing solution for the problem. Sometime later, several students joined Bernard Silver to find a solution to this issue. They then formulated an idea that a combination of scanner, ink and ultra violet rays may lead to some kind of innovation. A notable idea of making use of ultraviolet sensitive ink was put forward by Norman Joseph Woodland, one of Bernard Silverâ€™s students. Many other opposed his thought as the ultraviolet ink was very costly and it was not stable when printing. But then, Norman was strong in his idea and believed that this will work out in finding a solution. Woodland then gave up his job at the Drexel Institute of Technology and put all his efforts in solving this problem. Finally, on October 7, 1952, the patent for the invention of barcodes was filed by Bernard Silver and Joseph Woodland. They designed a barcode that was similar to a bullâ€™s eye with a series of concentric circles that were non-overlapping but still closely packed. But, the basic symbol of barcodes is described with a straight line pattern. The symbol had four white lines on a darker background. The first line was a datum line and the other lines that followed it were designed in accordance with the first one. The coding of information was purely based on the presence or absence of these four lines. The number of lines was directly proportional to the number of possible classifications. The more the number of lines, the more was the possible number of classifications. With the presence of just 10 lines, it was found that 1023 classifications can be made possible. Bernard Silver was not lucky enough to see the first commercial release of his product barcode. He kicked his bucket off in 1962. The invention of barcodes was sold for a mere amount in 1952 by Bernard and Woodland. The patent was sold to the RCA before the commercialization of barcodes. Even before the barcodes were used in grocery shops, the patent expired in the year 1969. In 1967, NAFC (National Association of Food Chains) was looking for a process that could increase the speed of the checking out process. It was then that the RCA came out with the scanning system. It was employed in the Kroger stores located in Cincinnati.Â But unfortunately, there were many problems in that system and there was a need for standardization of the barcodes. Universal Grocery product Identification Code (UGPIC) was designed in 1970 by Logicon, Inc.Â The two companies that were facilitated with the retail use and industrial use of barcodes were Monarch Marking and Plessey Telecommunications. Furthermore, the UPGIC emerged as UPC and it is still employed in the US. 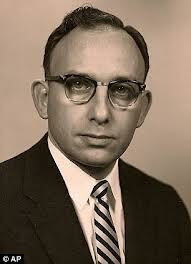 It was George Laurer who invented the Uniform Product Code in the year 1973. In the Marsh supermarket situated at Ohio, the first UPC scanner, designed by the NRC Corporation was established in June 1974. In the same month, the first product with barcode on it was scanned there. The first product scanned by barcode is still preserved in the Smithsonian Nation Museum! The first attempt of barcode application at the industrial level was made in the 1950s. It was initiated by the American railroad association.Â The same association implemented an optical barcode in 1967 known as Kartrack. Seven long years were needed for the labeling of the fleet. In October 1967, car labeling and scanner installation were initiated. In order to keep a record of the rail cars, RFID tags were implemented by the Burington North in 1988. Though the RFID tags were earlier proposed, it was not further developed due to the high cost. Industrial use of barcodes was initiated from the system developed by Computer identics in the year 1969. It was designed for motors to record the axials of automobiles. In 1981, the US defense department made use of the application of barcodes in marketing military tools. Later, the industrial employment of barcode was highly appreciated. Even today, a system known as LOGMARS is being used by the Defense Department. The application of barcodes did not just stop here. It extended its application to the postal sector too. In 1982, POSTNET was adopted by the US postal service that was helpful in separating the mails on the basis of zip code. The introduction of bars and stripes into the market was facilitated by Tippecanoe systems, Inc.Â This has then turned to be the best barcode service with a minimal cost that is advantageous to small shop keepers and retail sales people. It is amazing how the urge of a food vendor in finding out a solution for his problem has turned out to be an effective invention!